Stunning two-story home in Kenwood with modern updates. Abundance of natural light through-out the home help accentuate the the dark oak flooring against the white trim and molding. Natural fireplace in living room. Wonderful eat-in kitchen with a large butcher-block center island. Main floor office. Master Suite with large walk-in closet. 4 bedrooms on one level. Convenient 2nd floor laundry. Fully finished lower level, large entertainment area, guest bedroom and full bath. Move-In Ready. Directions: West Lake of the Isles Parkway to West 21st, follow until you hit West 22nd St. left 1 block and residence will be on your left. I was searching for a Property and found this listing (MLS #5132844). I would like to schedule a showing for 2460 W 22nd Street Minneapolis, MN 55405. Thank you! I was searching for a Property and found this listing (MLS #5132844). Please send me more information regarding 2460 W 22nd Street Minneapolis, MN 55405. Thank you! 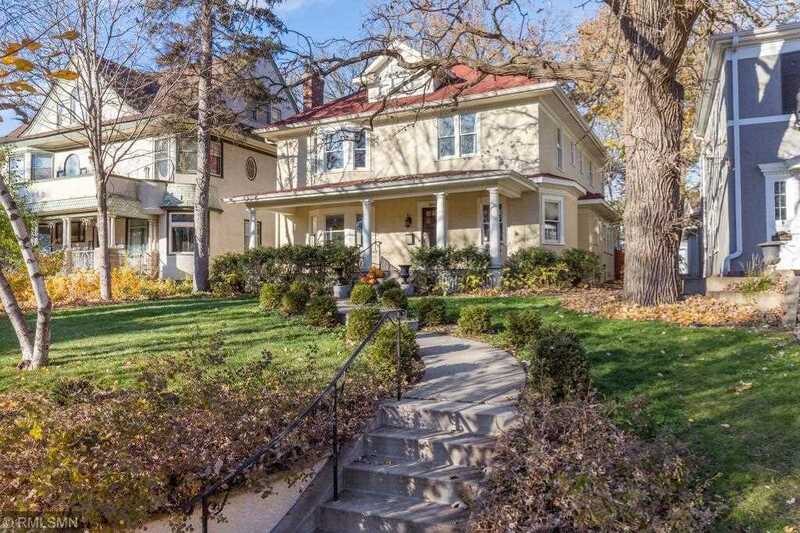 MLS® 5132844: This property at 2460 W 22nd Street, Minneapolis, MN 55405 is located in the Kenwood subdivision and is listed for $1,300,000. MLS® 5132844 has been on the market for 94 days.